Community Action’s Financial and Family Well-being programs are geared toward increasing financial stability of low-income individuals and families. They aim to help set the foundation to greater independence through financial well-being. Our Individual Development Account (IDA) and Free to Save programs provide financial education paired with 4:1 matched savings opportunities for asset-specific purchases. The Opportunity Passport™ Program, similar in nature to the IDA program, is conducted in partnership with the Nebraska Children and Families Foundation and targets youth in or aging out of the foster care system. Our Tax Preparation Program provides free tax preparation and filing services to individuals earning under $66,000 a year. 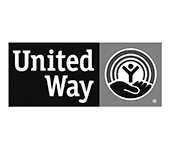 Lincoln Community Response is a program aimed at supporting and linking families to resources needed to prevent entry into the child welfare system. And finally Weatherization is a program to increase the energy efficiency and safety of homes available to low-income individuals and families.